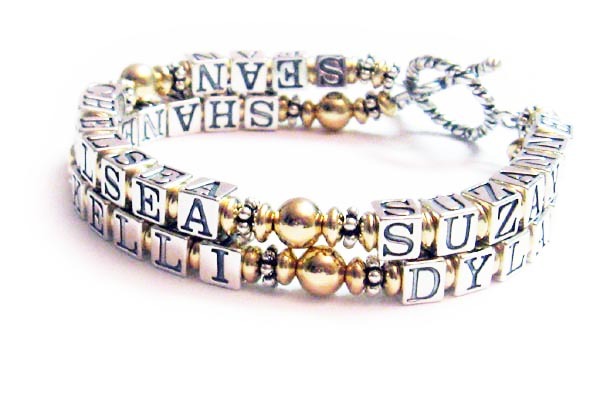 They chose one of my beautiful and free lobster clasps. They chose one of my beautiful and free Twisted Toggle clasps. 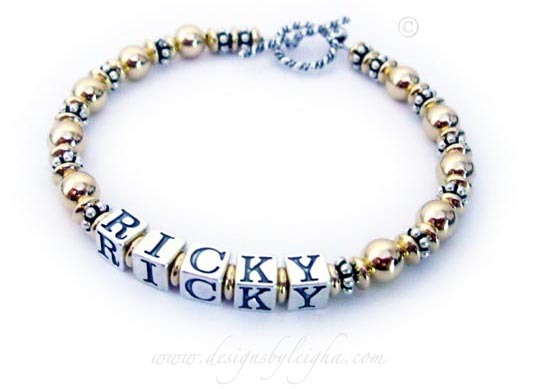 DBL-G5 - 1 string bracelet with 1 name. 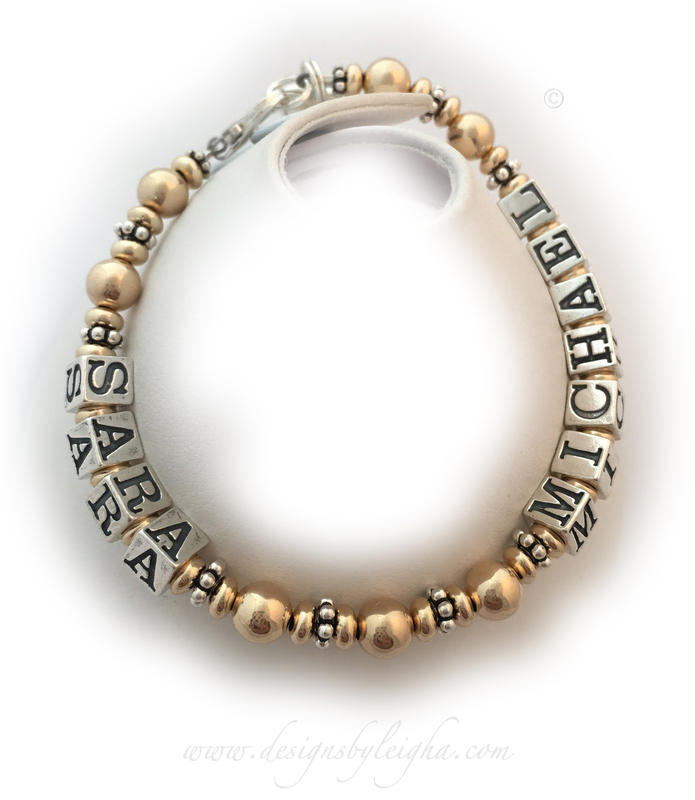 They chose a 2-string bracelet with 6 names. 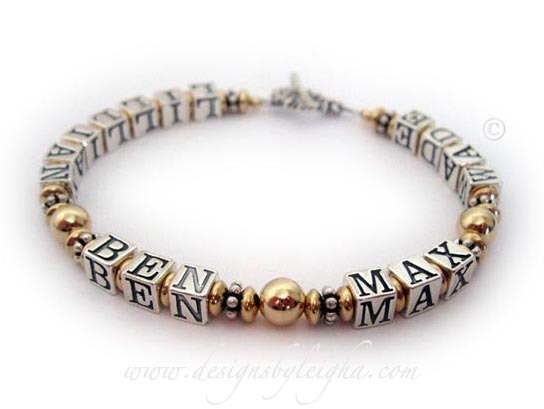 DBL-G5-3string bracelet with 5 names/words. This mom has 2 boys both with March birth days. So I added March or Aquamarine Birthstones Crystals before and after each boys' names. Her favorite saying is LOVE NEVER FAILS so we wrote that on the string in between the boys' names. 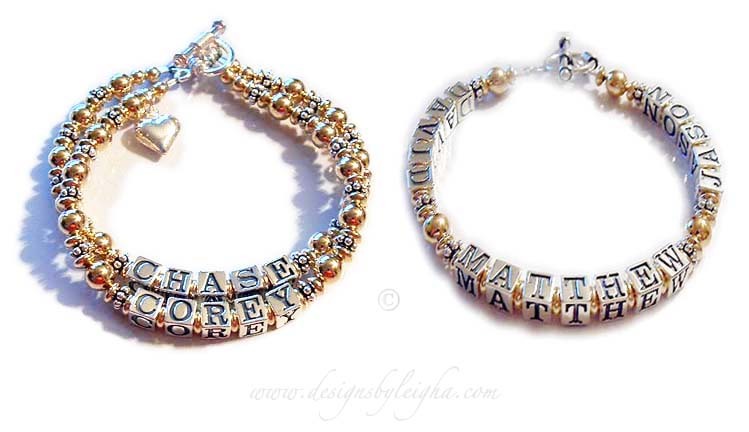 They choose a 3-string slide clasp and added a Gold Puffed Heart Charm. They added a Praying Boy charm and a Praying Girl charm. 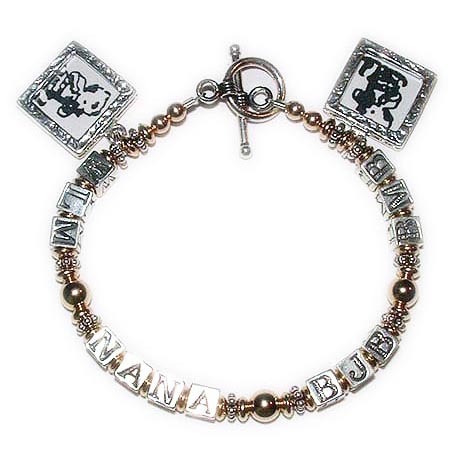 I recommend a slide clasp for bracelets with 3 or more strings but you may choose any clasp.